Data is the most valuable part of the computers. The digital format of information is vulnerable to the several threats which may result in lose of data. It may be due to the human error or the technical glitch that happened inside the circuits. At the end, the users remain the victims of data loss. Recovering deleted or lost files on computer is not as difficult as it was. We have better software and hardware tools available in the market now. Spending time and money on the deleted files may worth trying but it also need a supervision of budget and effort. Wondershare offers a budget friendly solution for recovering deleted files on Windows computer. Their Data Recovery Software is available for just $49.95 and is effective in recovering the lost files on Windows computer. I tried this software for recovering my niece’s lost birthday photos on my Windows 7 desktop and on my Windows 10 laptop. It worked great! I almost recovered all the photos back. This time I backed them up to cloud. Wondershare Data Recovery software have some interesting recovery options that are quite needed when your are perplexed of what to do in such panicking situations. I will show you how this software can be used to recover your lost file of any format. Note: Recovering of data is not 100% possible with any tool that is available for us so far. However, some tools like Wondershare Data Recovery help us recover almost all files of any condition by all means possible. I recommend you to take a backup of your data very often. Do you know how to take backups when the Windows is not even loading? 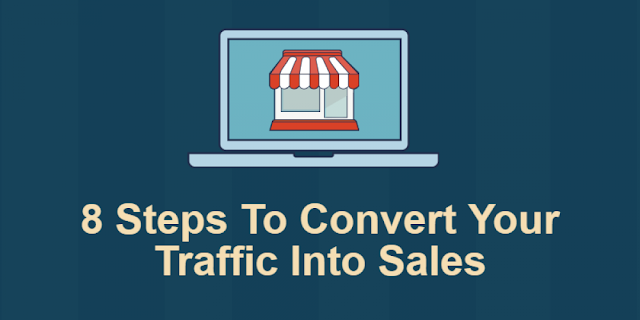 Read this article to learn how. Download and install Wondershare Data Recovery tool on your Windows computer. Run the tool after installation. The home screen under ‘Standard’ mode will be shown with the recovery options of the software including the file recovery, partition recovery, RAW file recovery and recovery resume. This will recover files of all formats. If you want to recover files by type, click on the ‘Wizard’ link on the white bar on the screen. This will open a new wizard where you will be shown all the file type options including image, audio, video, office document, email specifically and other formats. This is the first and very non-specific option that this data recovery tool has. You can find this option on the home screen of the tool itself. You just have to show the location of the disk to search for the lost or deleted files. The rest of the process is taken care of by the tool itself. Just select the location from the shown disks and click ‘Start’ to continue the search process. When the search is over it shows all type of files that can be recovered along with the health status of these files. Click on the files to view the preview, select those you wanted and click ‘Recover’. This option will help you recover the files from the particular partition of the list of hard drives that are connected to the computer. This specificity will help the user plan & organize the search process from partition to partition. All you need to do is to choose the hard disk > partition > and start the search process. Check the files that are found, preview if necessary and recover them on to your hard drive. RAW format files are those that are identified by the non-human readable attributes like name and path. Sometimes the deleted or lost files cannot be recovered by using normal recovery mode. This RAW file recovery option will help to recover such difficult-to-recover files easily. RAW files includes all random files that are deleted or removed from the HDD with time. As they are found unnamed, the previewing process might take a bit long yet worth when it can recover the actual data. Click on ‘RAW File Recovery’ option > Select the partition > Hit ‘Start’. The search will find all the random RAW files on the HDD. This process might take a bit longer than the other options, as the possibility of finding the number of files is more. This is one such great feature that is needed for a system utility tool like this. Wondershare Data Recovery tool is an efficient data recovery software that takes optimal time to search the lost or deleted files on the hard drive. The time to finish the scan also depends on the size of the hard disk, number of type of files selected to find and the type of scan chosen. The terabyte hard disks of now-a-kind, re-checking for every file extension chosen and scan types like RAW file recovery will take lot of time to find the files from death and present before us. We cannot stay along all the time during the process and sometimes we may need to shutdown our computers after a while. At such times, this ‘Resume Recovery’ option will help us ‘Save Scan’ and resume later in any future. There is another mode of recovery wizard that you can swap on to. This recovery mode allows you to choose the type of file to recover > choose the partition or location and scan. You can choose the photo, audio, video, email, office document and all other file types specifically to scan for. This will reduce the time of scanning and will give you quick results. To be more specific, it scans the following file file extensions associated with the file types. Image files – All common image formats such as JPG, PNG, GIF, BMP, TIFF, EXIF etc. 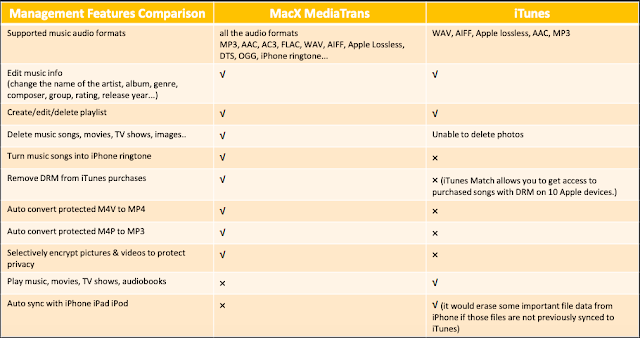 Audio – All common audio file formats such as MP3, WMA, AAC, AMR etc. Video – All common video file formats AVI, FLV, WMV, MOV, MP4 etc. Office Documents – All common document file formats such as Word, Excel, PDF and so on. Emails – All common email file formats such as Outlook, Outlook Express, PST, DBX etc. There is nothing valuable more than data in this world and when it comes to digital data, it costs a penny more to recover. 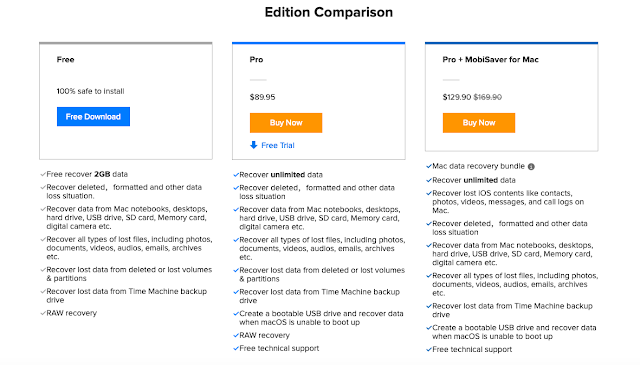 Spending just $50 for a license is nothing for the flexibility of data recovery options that Wondershare Data Recovery tool offers. Go Get the tool today and get back your valuable files. We often loose your files on our computers for some known and some other unknown causes. It might be because of the damage occurred to the drive or the repartition we had done to it recently. MiniTool Power Data Recovery software helps you recover deleted files even from damaged and reformatted hard drive. You can also recover files from CDs DVDs, memory sticks, memory cards, flash drives and RAID devices. Never ever made any changes to the data on the data-lost drive. Never install or uninstall any kind of software including Data Recovery software on the data-lost drive. A free version of MiniTool Power Data Recovery can be downloaded and used with a 1GB data recovery restriction. You have to buy the software to make the full use of it. Go to powerdatarecovery.com and download the free/premium version of it as per your needs. Installation of this program is easy – Install it the same way you install every other program on Windows. This program features five recovery modules, Undelete Recovery, Damaged Partition Recovery, Lost Partition Recovery, Digital Media Recovery and CD/DVD Recovery. Undelete Recovery – Useful in bringing back the shift deleted files on the computer. 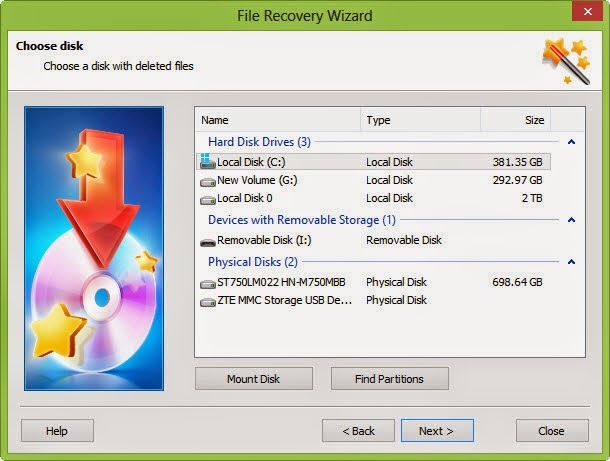 Damaged Partition Recovery – Recovers data from the damaged partition. Keep an external hard disk with you in case you are doing a partition recovery. 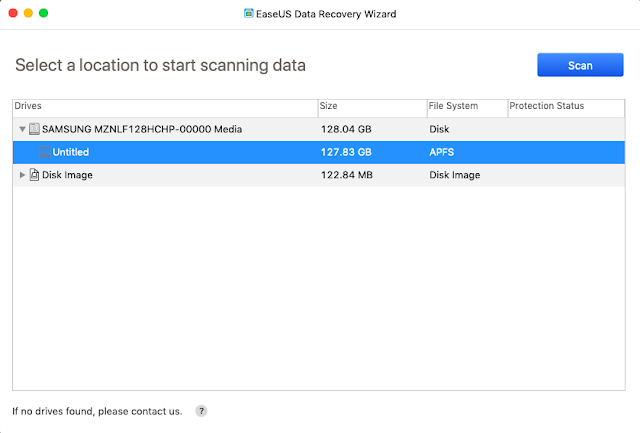 Lost Partition Recovery – We accidentally loose data along with some partitions while managing space on computer. Power Data Recovery can also recover files from those lost partitions. Digital Media Recovery – Digital devices are the most data vulnerable devices we often face problems with. It can recover data even from damaged digital devices. CD/DVD Recovery – When was the last time you used a CD/DVD on your computer? In this age of high capacity hard drive configured computers, people rarely back up data on to CD/DVDs. However the data backed up on to CD/DVDs can be lost due to physical scratches and worn outs of the disc. Power Data Recovery can also recover data from damaged CD/DVDs there by ensuring our data safety. This program might look like another data recovery software available in the market today. But its capability of handing deleted data and recovery process is so handy. The only flaw I found is the limitation of data recovery up to 1GB for free version. It may not be helpful for recovering huge amount of data. You have buy it to make the most of it. Though, it is enough to recover huge list of documents kind of files to 1GB limition. Taking data backup is vital and helps user in successfully restoring their lost or deleted files back when disaster situations took place. EaseUS Todo backup software is feature enrich and capable program to make superior backup copy of important files and protect it from accidental failure or become corrupt and allows user to perform flawless recovery in the event of hard drive failure, system crash or malware attack. Unlike Windows inbuilt data backup utility, this application is uniquely designed to carry forward various data backup and make storage device migration tasks easier and simpler than ever. Intuitive and wizard based steps make your data backup and restoration process faster and trouble free. Any level of PC experienced user can perform the desired data backup tasks easily and in hassle free manner. This tool can backup sector by sector data and allows full operating system backup including installed applications, app data, settings, customizations etc. Allows user to create partial or full system image to backup entire hard disk data in one single file. Later, the software only backup the incremental backup to reduce the overall time taken to backup large or recently modified files. You are free to take backup of only selective files and folders. Or, can able to recover only desired files and folders from the created backup copy. This application can also backup data of your Android devices such as contacts, mails, calendars, notes etc. and save the copy to your Android device. 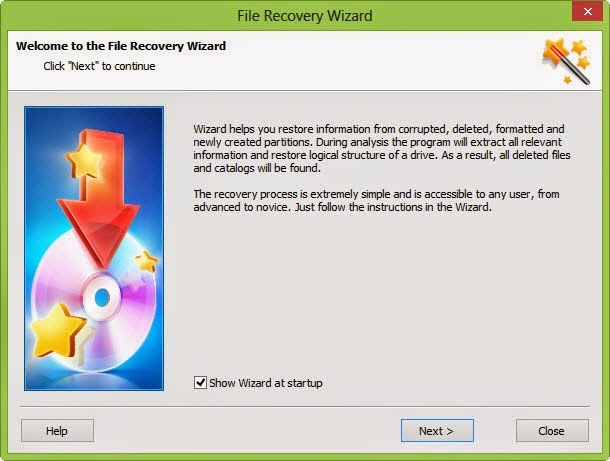 Later, you can perform full recovery in just one click and restore everything back as it was before. Schedule this application to backup crucial files on any specified time interval so you don’t have to. This tool will automatically initiate the backup process and finishes it in minimum possible time. 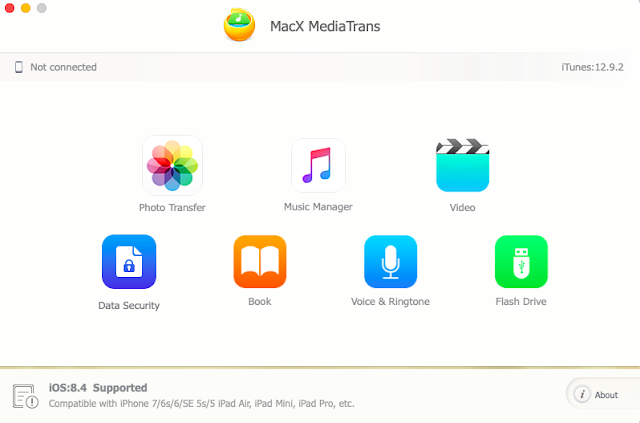 What if you want to replace disk, transfer data or upgrade system to SSD? Yes, the application comes handy whenever you came across situations mentioned above. EaseUS Todo backup helps you to upgrade the smaller size hard disk to relatively longer capacity hard drive without reinstalling OS and applications. Clone HDD feature of this tool will help to copy/move the entire content of existing hard drive to new location including the transferring of OS to new HDD in just a matter of time. It’ll also help you in making the exact replica of damaged or failing disks and make you able to restore data in the event of full system inaccessibility or complete hard disk crash. P.S. Size of the destination drive should be longer or more capacitive as compare to source drive. Once the application is installed and running on your computer, navigate to the home screen of the software. Select the source disk for which, you want to make exact copy. Also choose the Target drive on which, entire contents of the source drive will be copied/moved. Make sure to check mark the box stating Sector by sector clone option located at the bottom. This will perform sector by sector cloning and ensures effective cloning of the source disk. Click Proceed to begin the cloning procedure. EaseUS todo backup is one of its kind software and proves to be of lot more use when data disaster situation strikes. Just use this tool and schedule it to take automatic and incremental backup and forget the data loss problems. Most importantly, the software is free for home and personal uses as well as perfectly suitable for users with any level of expertise or computer knowledge. As you know, Linux operating systems are sophisticated in use, which makes them fall under the category of the most undesired platforms. However, this nature of Linux OSes does not make users avoid using it, especially in corporations. In fact, Linux is mainly used in organizations keeping the security aspects in view. Well, I know you must have heard of Linux as a secure operating system. Those who practice software development or some other technical tasks usually prefer using Linux, which is aimed at achieving optimum security for their data. Switching from Linux to Windows platform requires deleting all its partitions and recreating them, as Windows OSes do not support Ext4, Ext3, and Ext2 file system based drives. This makes reformatting the hard drive mandatory on the new platform. However, formatting the hard drive sometimes causes data loss, or you might intentionally formatted the hard drive to delete all the data in a flash. Stellar Phoenix Linux Data Recovery software enables recovering data from lost or deleted Ext4, Ext3, and Ext2 file system based Linux partitions. The software runs on Windows platform and has got the ability to scan the entire hard drive to recover the partitions that no longer exist on it. Once the deleted or lost partitions are recovered, you can scan them individually for data recovery. The software enables you to create drive image for data recovery at a later time. In other words, you can continue recovery with the drive image as per your convenience. Both of these options are provided under different tabs on the home screen. The software also displays the information about the hard drive, such as drive’s model number, drive temperature, serial number, drive size, and S.M.A.R.T. Status, and more. Keeping the ‘sophistication’ of Linux platform in view, This Linux Recovery software is provided with a simple and user-friendly GUI that makes it easy to use for completing such a difficult task like data recovery. The software interface is self-directive, which makes it a Do-it-Yourself utility. 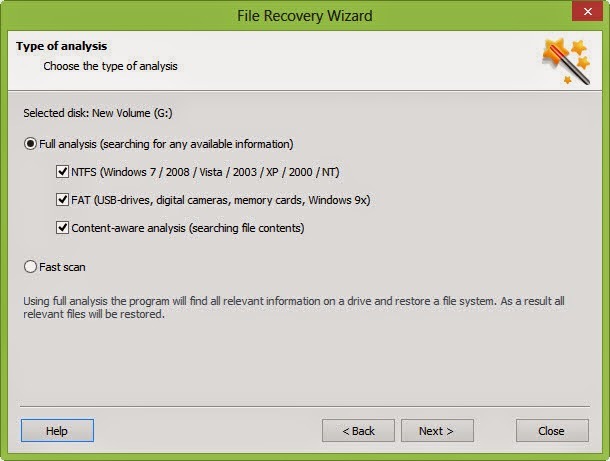 Its tabbed interface has multiple options for data recovery (see the image below). The ‘Quick Recovery’ module of the software on clicking shows the existing partitions on the hard drive. In fact, this option enables you to recover lost/deleted files from all the existing partitions. This scan option performs a quick scan on the selected partition and displays the result in a three-pane view. In case you lost your files due to volume corruption, this scan option is highly recommended for recovery. The ‘Advance Scan’ module also shows all the existing partitions and enables data recovery from any of them. Selecting this option performs a slow, but extensive scan on the partition you select. However, the chances of recovery are better. The ‘Deleted File Recovery’ module of the software also lists the existing partitions of the hard drive attached to your PC. This option scans the selected partition to recover all the files that were deleted recently. The ‘Search Lost Volume’ module of the software lists all the hard drives (not partitions) installed on your PC. Select the hard drive in which you want to search lost volumes, and then scan it. As you click the Start Scan button, Scan Mode pop-up appears, on which you have to select a scan mode. 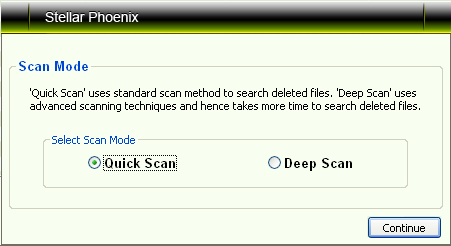 The default scan mode for this recovery module is ‘Quick Scan’, but you can switch to ‘Deep Scan’, in case the scan result is not satisfactory. In addition to the lost/deleted Ext4, Ext3, and Ext2 file system based Linux partitions, the software also supports recovery from FAT32, FAT16, and FAT12 file system based partitions. 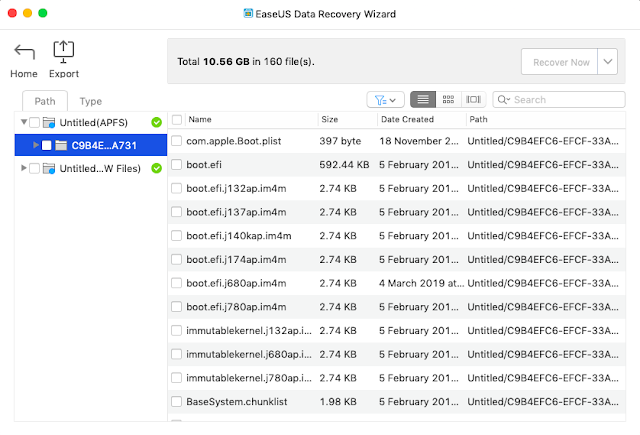 Once the lost partitions are recovered, highlight one, and then choose a recovery option out of Quick Recovery, Deleted File Recovery, and Advanced Recovery. This Linux Recovery software provides you with ‘Mask’ option that enables you to narrow down the search result for selected data recovery. You can create a small tree out of the one created automatically in the search result window. Stellar Phoenix Linux Data Recovery software enables you to ‘Create Image’ as well as ‘Clone Disk’ for recovery at a later time. Create Image – option replicates the hard drive or a partition sector by sector, and then saves the image (*.img file) at a specified location. Clone Disk – option create a mirror image of the entire hard drive, which requires another hard drive* to save it. *Note: The destination hard drive must match the storage capacity of the drive you are cloning. 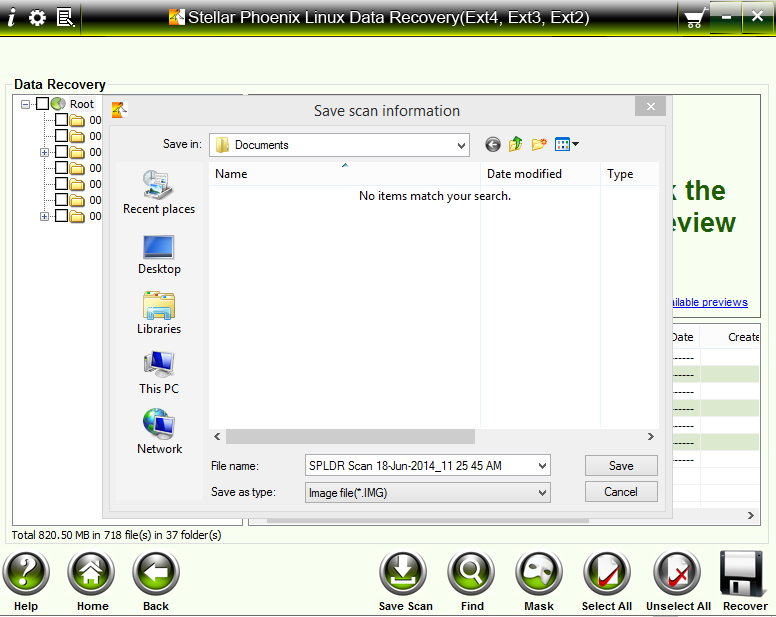 Stellar Phoenix Linux Data Recovery software enables you to save the scan information (*.img file) for recovery at a later time. The ‘Resume Recovery’ tab enables you to do it. For this, simply go to the ‘Resume Recovery’ tab, click the Browse button, and then locate the Scan Information File or the disk image created earlier. Stellar Phoenix Linux Data Recovery software displays complete information about the hard drive installed on your PC, under Advance Options > Drive Status. The image shown above displays the drive status. You see a similar screen on your PC. 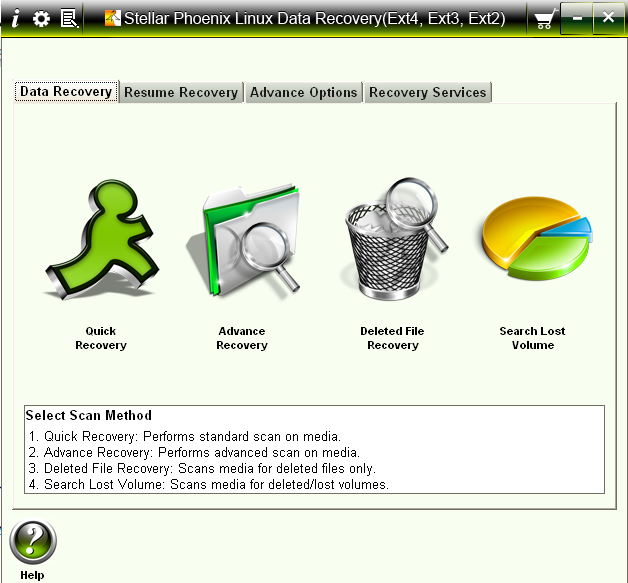 Stellar Phoenix Linux Data Recovery software enables recovering lost or deleted Ext4, Ext3, Ext2, FAT32, FAT16, and FAT12 file system based Linux partitions. The software enables applying mask on the scan result to narrow it down for selected items’ recovery. For recovering data from deleted Linux partitions, this software is highly recommended. Ever been a victim of loosing data? Yeah one time or another you would had such feeling. People often worry losing data on mobile phones or tablets. 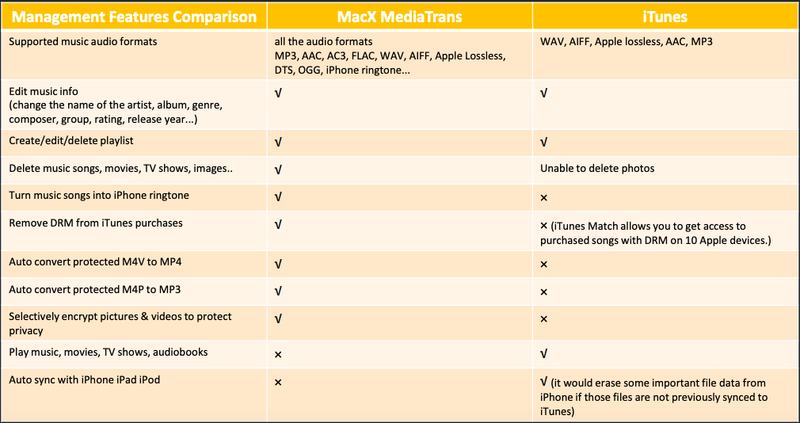 Data in apple products like iPhone, iPad or iPods is data like any other smart phone in the world. The only advantage of smart phones and i-products is that we can get back deleted data using our computers or those devices themselves. When I posted last time about recovering deleted photos from Samsung S4, people found difficult to connect their devices in USB debugging mode. This time there is no such effort being a geek during recovery process. 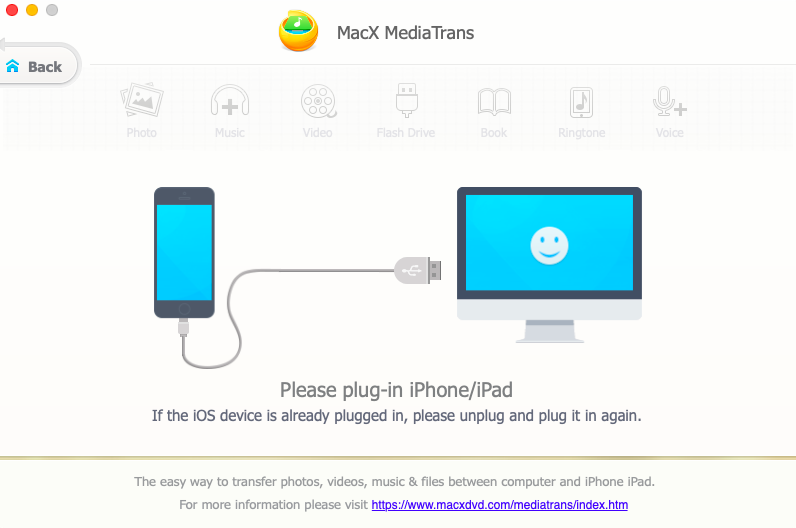 You’ll just have to connect your iPhone/iPad/iPod to your computer, select the module and go through the process. 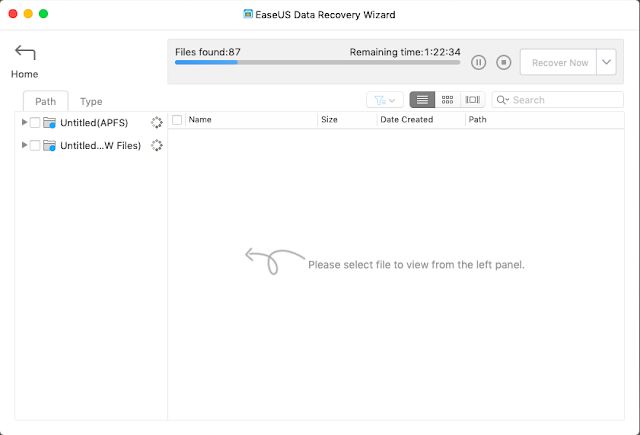 For recovering your lost data, I introduce to you the familiar tool from ‘EaseUs’ so called ‘Easus Mobi Saver’. This tool available in full-version totally for free. Step 1: Select the recovery module and Please don’t connect your iOS device to PC. Then click Start. 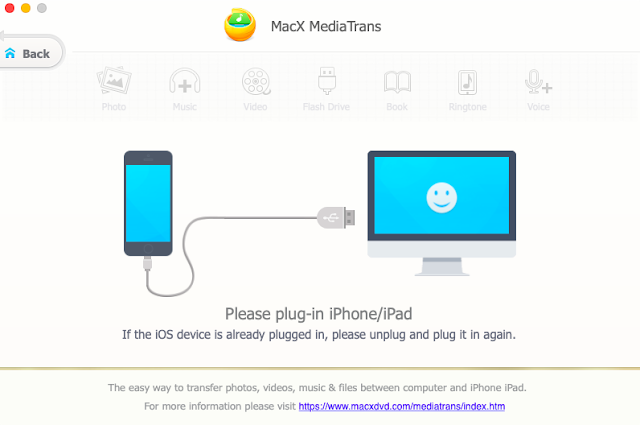 Step 2: Connect your iOS device now. The program will analyze the device and if the device is connected successfully, you can click Next to scan your deleted data. Step 3: After scanning, you can select one item to preview and find out the specific files you need. You can also tick the option Only display deleted items to find the deleted files. Then click Recovery button. Step 4: Select a destination to save the recoverable data. Click OK to confirm it. Step 1: Choose the recovery module. 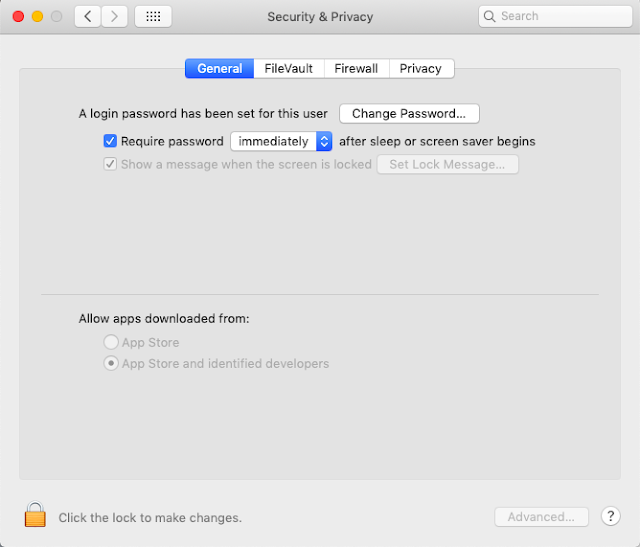 Step 2: If you have backed up or synchronized your deleted data with iTunes, you can click Next to start scanning directly. Step 3: Select a time point you need, click Next to recover. 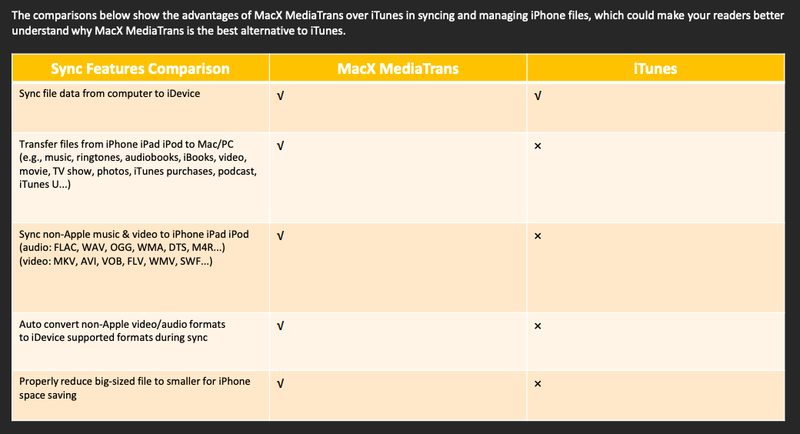 Note: If your iOS device is not listed here, it’s probably because your iOS device has not been synchronized or backed up with iTunes. Step 4: After scanning, you can select one item to preview and find out the specific files you need. You can also tick the option Only display deleted items to find the deleted files. Then click Recovery button. Step 5: Select a destination to save the recoverable data. Click OK to confirm it. After recovering the desired data, if you need to recover other file types, you can select Recover other types to recover without rescanning. Try your thoughts of connecting other devices too. Because I haven’t tried other devices yet. Share your thoughts in comments below!